It’s summer here at The Storage Inn in Egg Harbor Township, New Jersey, and the place is bustling with storage customers shuttling in and out from their storage rental spaces, toting lawn chairs, bicycles, surfboards and all sorts of items related to self storage near the beach! I had an unusual encounter the other day when Mary, one of our storage tenants, walked into the storage rental office carrying an air mattress under one arm , and a box of dryer sheets under the other. “What are you doing with those” I asked? “ I’m going to the beach!” she responded, thinking that I was asking about the raft. “No, I mean the dryer sheets” I said, clarifying my question. “Oh those – I use those to keep my storage unit smelling nice” Mary answered. We agreed, that was a great idea! This encounter prompted me to take a random polling of our storage unit customers, gathering their best storage tips. Mark those boxes! You won’t fully appreciate labeling all your boxes until you’re faced with the task of searching for one particular item in a sea of unmarked boxes and bins. Do yourself a favor and tag your storage boxes. You might find listing the specific items on the side of the box or color coding will further help you in your efficient packing and storage quest. Dryer Sheets. Not only do they keep your stored items smelling fresh, but a few dryer sheets placed strategically in the corners of your storage unit keep insects at bay too. Replace the sheets about once a month and you’ll have a sweet smelling, bug free storage unit. Mattress / Furniture Covers. Protect your mattresses, couches, and tables against dust and moisture with a cover. If you don’t have specific covers for certain furniture, a large sheet will do the trick. 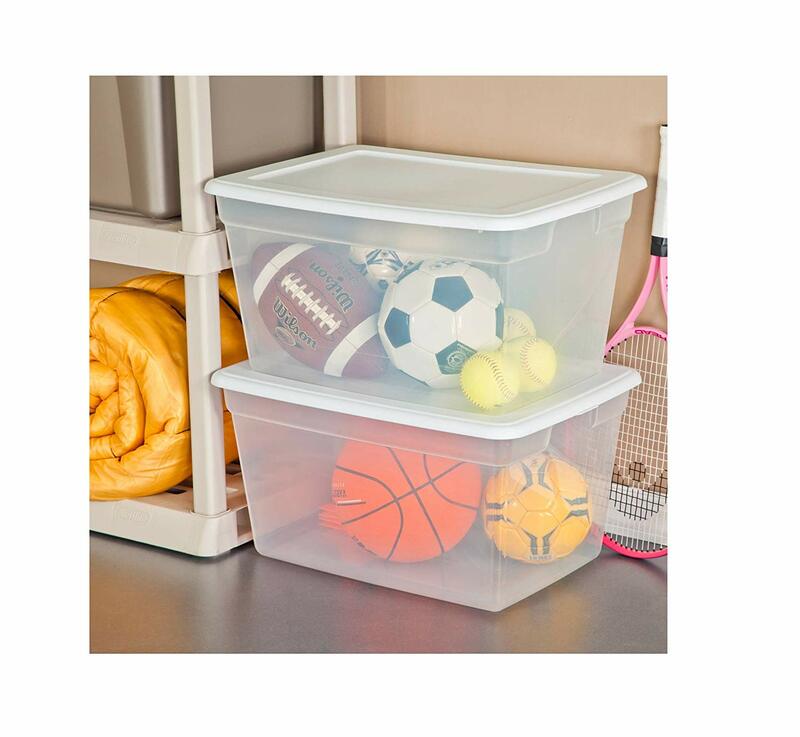 Clear plastic storage containers. Clear plastic bins have distinct advantages over cardboard boxes for storing. They are more durable, reusable, stackable and sturdier, and best of all, see-through! When buying bins, get them all in the same size for easy stacking. Pen Knife / Box Cutter. There is nothing worse than having to use your house key, to cut through tape, cardboard or string. You never know when you’re going to need something especially sharp when storing, so you should always keep a pen knife or box cutter inside your unit for those unexpected “I think I may have left my cell phone in one of those boxes” moments. Vacuum-Sealed Bags. 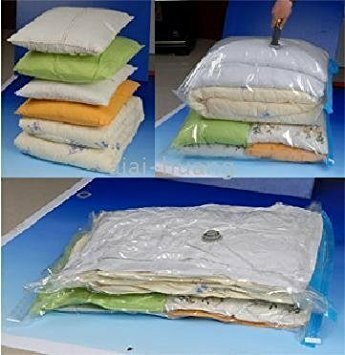 Vacuum-sealed bags can drastically reduce size while protecting your clothes, bedding and other linens, in an airtight seal. They’ll protect your old clothes for whenever the world decides they’ve come back in style. Wrap it up! Bubble wrap is an important item to have when storing delicate items. If you don’t have bubble wrap, you can protect your breakables by wrapping them in old T-shirts, or by placing them between layers in a box of towels. 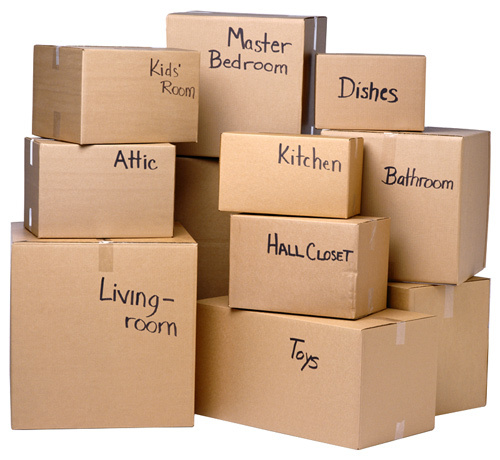 Avoid leaving gaps when stuffing the box to ensure everything stays secure and in place. Keep it clean. Keep a spray bottle of household cleaner and some rags or paper towels in your unit to wipe down any appliances or electronics you plan on putting in storage. Storage units get pretty dusty after a while, so keeping some basic cleaning supplies, and a dustpan and broom handy for a quick cleanup when you visit is a great idea. Well, that’s our list of favorite storage space tips! Thank you to our Storage Inn customers for their helpful hints! Spring has sprung, the grass has riz’ – I wonder where my lawn mower is!?! Looks like it’s time to clean out and organize the shed storage space for the warm weather months. So, let’s get started – first, go to the shed and open the door. Now ask yourself what you could possibly have been thinking when you left it in this condition at the end of last season! 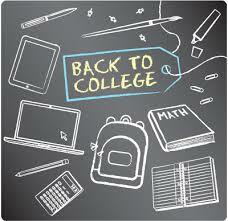 Be that as it may, we still need to get organized, so here are a few tips….. I know, this does not sound like fun, but we need to see exactly what’s in there, what we still need, and what can go. Set aside any items that you no longer need, or that need to be replaced. Also create a group for items that you want to keep, but that don’t necessarily need to be in the shed. Time to sweep out, and wipe down the floors shelves and work bench areas. You may want to check the items that you are storing to see if they need to be wiped off or hosed down before returning them to the shed. Now that everything is out, and your space is clean, it’s time to reorganize, and place your items back into the shed. Store the items that will be used most often toward the front of the space. Items that get used less frequently can be stored further back. Leave yourself a path to reach all of your warm weather items when needed. Hanging tools on walls or pegboard, as well as keeping smaller items in cans or plastic containers, can also free up additional storage space. If you find yourself still in need of more storage space for items, such as your Fall fire pit, or those Christmas decorations that you found, you may want to consider a small self-storage space. Your local self-storage facility will be happy to assist! Now you’re organized and ready to enjoy all of the fun of lawn mowing, weed whacking, weed pulling, painting, gutter cleaning, hedge trimming, etc…. oh well, hopefully you’ll get to use the bicycles and beach chairs once or twice before winter returns! 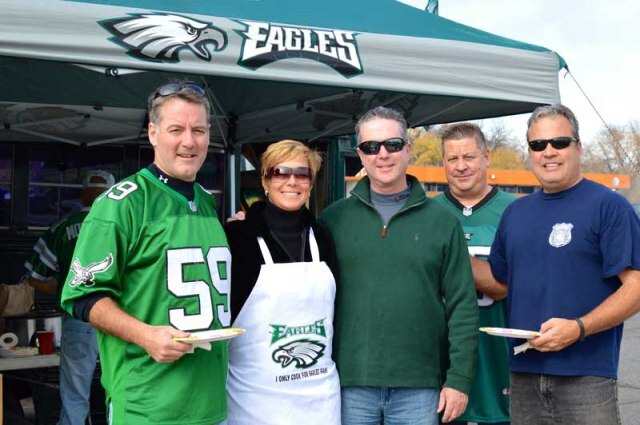 So, September has arrived here at The Storage Inn in South Jersey, along with a brand-spanking-new football season – and what fun would football be without tailgating? There’s nothing like meeting up with your friends, firing up the grill, and getting pumped up before kickoff – but this yearly ritual also comes with a fair amount of work attached. The last thing you want, is to be running around scrambling to find your tailgating gear on game day. Here are some tips to help you stay organized, and make your tailgating adventure a bit easier. Whether you’re putting it away just until next week, or until next season or packing up for the season and placing your vacation stuff into a storage facility until next year, be sure to thoroughly clean all of your gear before you put it into storage – especially anything that might have food residue on it.The smallest amount of food residue can easily attract insects, and rodents. Consider pressure washing your grill at regular intervals throughout the football season, and especially at the end of the season, when you put it into your storage unit. Spring Cleaning Tips For Your Storage Spaces! Spring has sprung and the grass is growin’. Time for spring cleanin’ and a little yard mowin’! That’s right folks, the spring weather has certainly arrived and everyone and everything is gettin’ busy doin’ it’s thing, including the grass! Yep, it’s time to pull out the mower and get’er going. But, when many of us open the door to the storage garage sometimes it’s not quite so easy to do. The mower is in there somewhere, but it’s gonna take some time to find it! Instead of pushing this and that out of the way. Get organized. 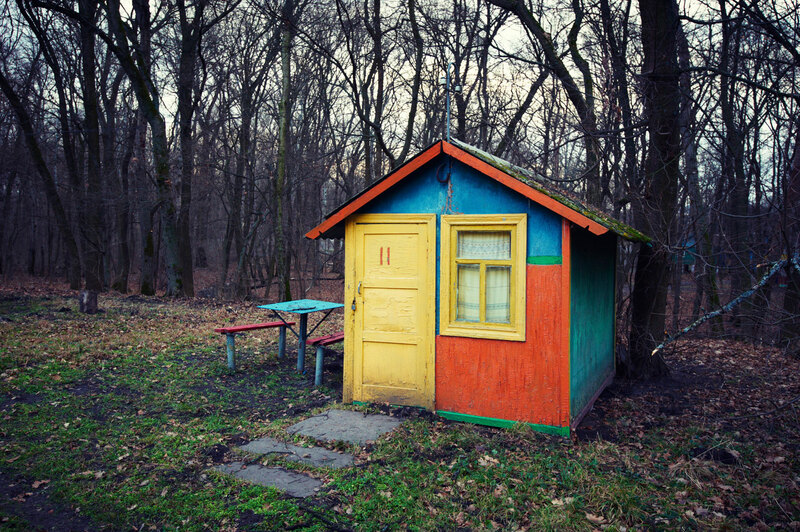 Take a little time to give the shed a good spring cleaning. Let’s face it, you have a lot of weeks ahead that you’ll be needing easy access to this storage space. So put some of that spring zing and pep in your step to good use; let’s give the storage shed a good spring cleaning. If you’ve got a mess, pull it all out. Sort your items into piles of like items. Set aside any items that you no longer need and decide if they are trash or yard sale merchandise! Now if an item doesn’t belong in the storage shed, simply decide where it needs to be and put it back in it’s rightful home. Time to sweep the floor and wipe down the shelves and work bench areas. You may also want to inspect the items that you’re storing to see if they need to be wiped off or hosed down before returning them to the shed. A clean and neat storage space will make your gardening and yard work life so much more enjoyable and easy to do! 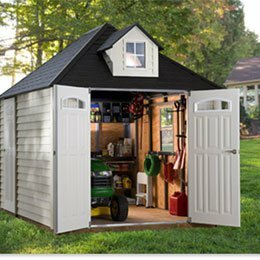 Now that everything’s out, and your space is clean, it’s time to reorganize and place your items back into the shed. Store the items that will be used most often toward the front of the storage space. Items that get used less frequently can be stored further back. Leave yourself a path to reach all of your warm weather items when needed. Hanging tools on walls or pegboard, as well as keeping smaller items in cans or plastic containers can also free up additional storage space. If you find yourself still in need of more storage space for items, such as your autumn fire pit or those Christmas decorations that you finally found, you may want to consider a small self-storage space. Your local self-storage facility will be happy to assist! Now that you’ve put everything back into your clean storage space, you can stand back and admire your great work. Organized and ready, it’s time to enjoy all that fun lawn mowing, weed whacking, weed pulling, painting, gutter cleaning, hedge trimming, and the list goes on and on and on…. and oh well, hopefully you’ll get to use those sparkling bicycles and tidy beach chairs once or twice before winter returns! 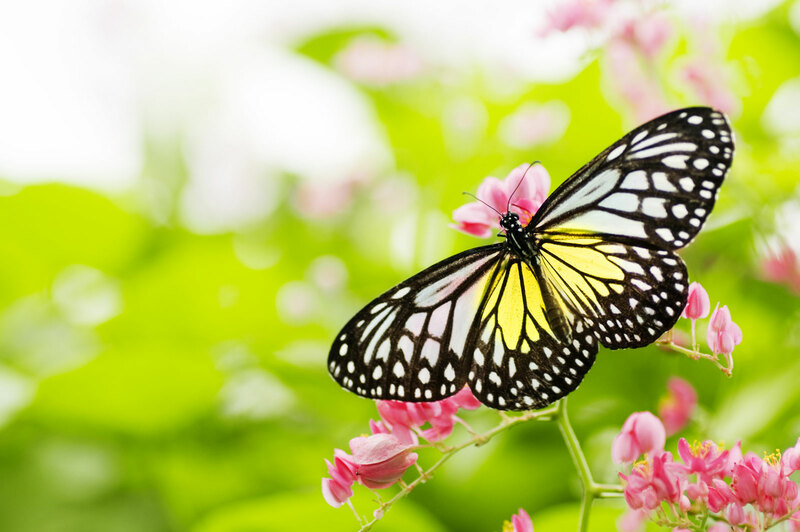 Spring flowers and butterflies are on the way! Spring is here! 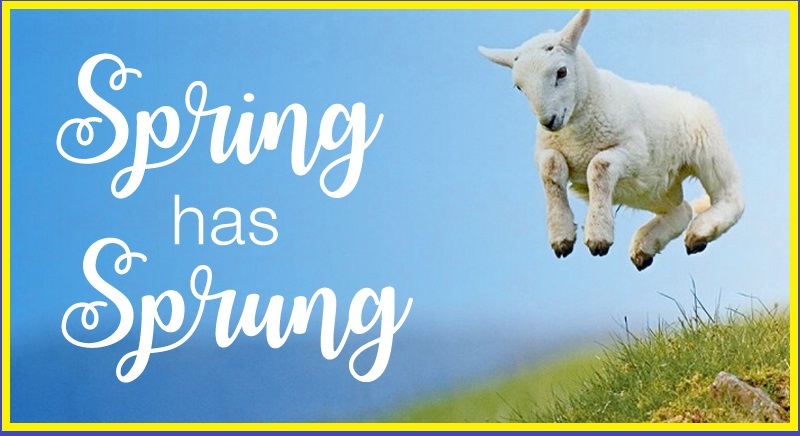 Birds are singing, flowers are blooming, warm breezes are blowing, and the yard here at The Storage Inn Self Storage in Egg Harbor Township, NJ is a beehive of activity! Why is our property suddenly full of customers you ask? Because now is the perfect time for new customers to get that much needed extra storage space! And our current storage rental customers are swapping out their winter items for their spring gear. Many of our Storage Inn customers use their storage unit to safely, store seasonal items. This helps them free up extra space in their home or office. And since our storage facility is monitored 24/7 for security all of our storage tenants know the belongings they only use during certain parts of the year will be safe and secure until they are needed next year. Out with the cold and in with the warm weather gear! Here are a few tips to make the swap go more smoothly. 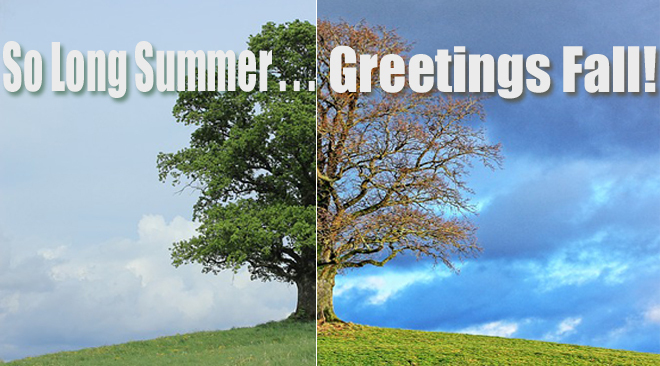 Follow these guidelines and enjoy the best spring season ever! Make a list of items that you will use only during the cold weather months. Obvious contenders for self-storage include holiday decorations, sleds, snow shovels, space heaters, heavy blankets, and winter apparel such as gloves, boots, and hats. Hopefully you created a list of all the things you put in your storage unit, so it’s easy to jog your memory and remember what’s in there. Items that you’ll want to remove may include lawn and garden tools, bicycles, beach chairs, patio furniture, and sports equipment. 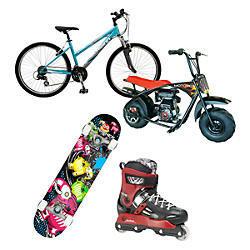 You’ll probably want to pull outdoor toys, such as bicycles and roller-skates. Gardening equipment will come in handy, as will portable fire pits, beach supplies, and other sports gear. 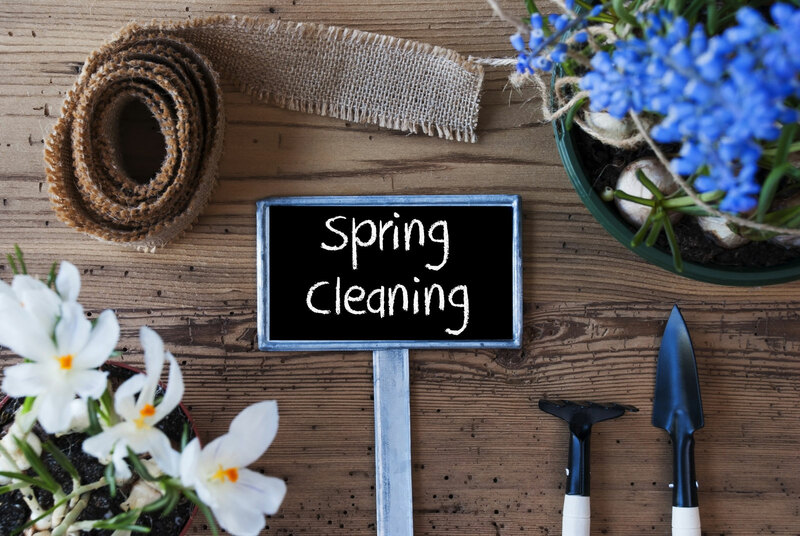 Take the time to do some spring cleaning in your storage unit. While our Storage Inn units are protected, they still accumulate dust just like any other space. Wipe things down, sweep the floors, and check boxes to make sure they’re still strong and sturdy. This yearly maintenance will keep your unit neat and secure! 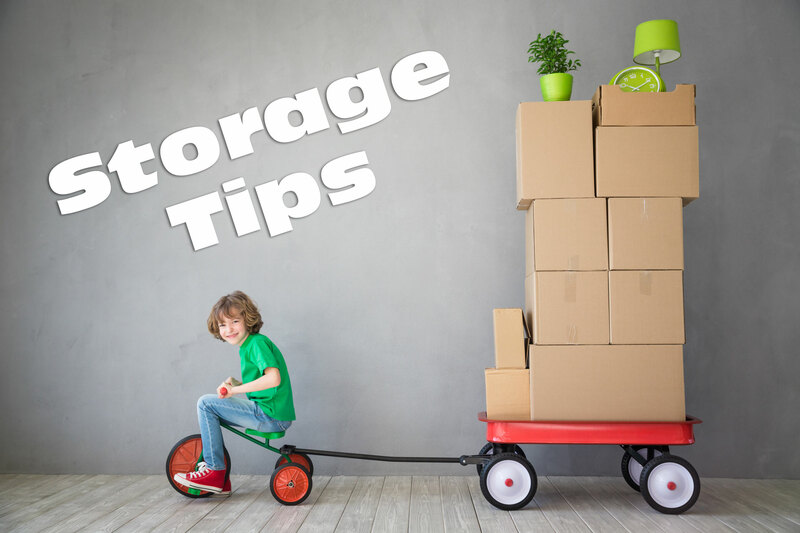 I hope these tips help you make the most of your self-storage unit…. I have to go now – I think I just saw one of our tenants, Mr Pemberton, roller skating around the facility in a bathing suit and Hawaiian shirt – Happy Spring! Well it’s a balmy 70 degrees in February, and there are plenty of motorcycles cruising past our office at The Storage Inn Self Storage facility here in Egg Harbor Township in South Jersey. I’ve also noticed a few of our storage space customers getting their bikes out – who could blame them on a day like this? As I was making my rounds, I came upon one of our long time motorcycle storage customers, Chuck, who had his storage unit door open, and appeared to be staring intently at the inner workings of his Harley Road King.” Headed out?” I yelled to him. “ Not until I do my Spring safety check “ he shouted back at me. Upon further investigation, I found that Chuck actually had a checklist that he follows every spring – things to check prior to getting the old two wheeler on the road for the season. Being a rider myself, I was curious to see what his list included. Check your battery – This the heart of your ride’s electrical system. Chuck says that any biker worth his salt will have already been connected to a trickle charger, and should be good to go, but if you don’t have your battery on a charger, the first thing to make your motorcycle ride-ready is to charge your battery. Change the oil & filter – It’s best to change your bike’s oil before you store it for the winter, but if not, now’s the time to do it. Swap that stale lubricant for fresh clean oil and a new filter. If you don’t do the work on your bike, make arrangements with your favorite cycle shop to get it done. Kick the Tires : We don’t really want you to kick them, but you should do a full 360 degree check on each tire for any cracking or punctures. Also, check for wear. On many tires, tread wear indicator bars signal a need for replacement, but another easy check – if you can see the top of Lincoln’s head on a penny when inserted in the tire tread, Lincoln’s head facing down, it’s time for a new tire. If your tires pass the wear test, inflate them to manufacturer’s inflation specs and your rubber is ready to go! Fuel up – Ideally, you should have stabilized the fuel in your motorcycle during the winterization process before you placed it into storage. If you didn’t winterize, and also didn’t fill the tank before storing, check the fuel tank for rust, which may have formed due to water condensation. If the tank is clean, fill it and ‘ride-on’. If there are signs of rust, you’ll live with the consequences – fouled carburetor, clogged fuel filter, etc. – until you replace the tank. Check your Connections – A Spring tune up of cables, plugs, and pivot points is time well spent. Check all electrical connections, cables, and all moving parts that might require lubrication. Things tend to dry out over the winter, so take the time to make sure that the moving parts are kept moving! Lights! Camera! Action! Turn on your motorcycle’s power and check all the lights for any that have inoperative bulbs and replace them. (i.e. brake lights, turn signals, headlights, etc.) Often, replacement bulbs come in twos, so save extras for the next time you need one. If a new bulb does not light, it’s time to check the fuse box. If that doesn’t work, it’s time to visit your local cycle shop. electrical problems are best left to the experts. Ready, Set, Stop! 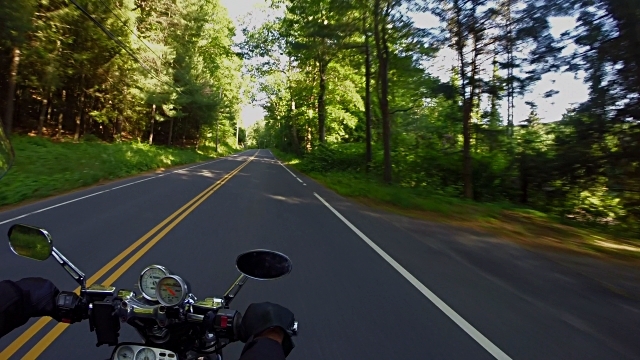 Stopping your motorcycle safely is just as important as insuring your bike can accelerate. Before you hit the road, thoroughly check all the components of your brake system – lever adjustment, cables, calipers, brake pads, etc. If things don’t seem right and you’re not comfortable making adjustments, seek professional help. It’s always better to be safe than sorry. Stay Hydrated – Check all of the motorcycle’s fluid levels – brake, clutch, oil, coolant. Top them off as needed. 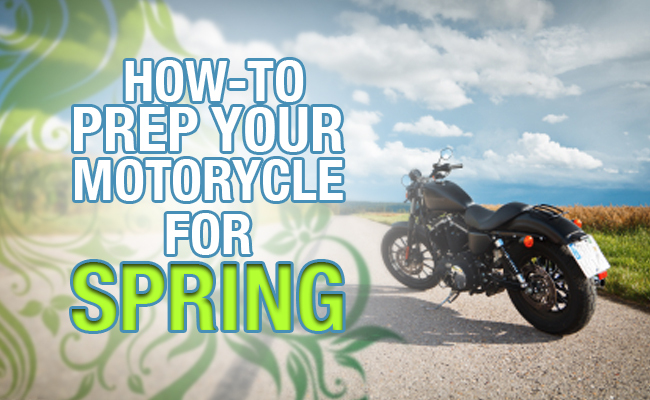 Look for any leaks on the floor where your motorcycle’s been stored. Another way to check for leaks is to start and warm your bike up to running temperature, then turn it off and check for leaks. Keep it Clean – The old adage, “Cleanliness is next to Godliness” is true – especially for your motorcycle. When you’ve taken all the steps to prepare your motorcycle mechanically, thoroughly clean the exterior. Your bike will look as good as it runs and you’ll look good riding it!!! So there’s Chuck’s checklist, so get ready, get that bike out of storage and get ridin’! With 70 degrees in February, you’d better do it now while it’s warm – could be snowing next week! The start of January here at The Storage Inn in Egg Harbor Township came with a lot of snow! When it was first starting to fall a few days ago, it had made for a pretty quiet morning here at the office, but then a car pulled into the parking lot. I recognized the young lady that got out as Jen, one of our newer customers, who as I recall, had just moved here from sunny Florida. “Ooooh boy” I thought as she threw open the office door. I couldn’t help but notice she was wearing lightweight clothes, canvas shoes and a pair of gardening gloves. “Why don’t you go get your jacket out of your storage unit, and I’ll make you a winter survival list!” She smiled and said she would really appreciate the help. Winter is a Good Excuse to Buy a New Sweater! You certainly need the appropriate clothing for cold weather. A warm winter coat is top of the list. – You can’t go anywhere in a cold-weather state without one. Sweaters and sweatshirts and long johns. – Creating layers under that coat is a priority. 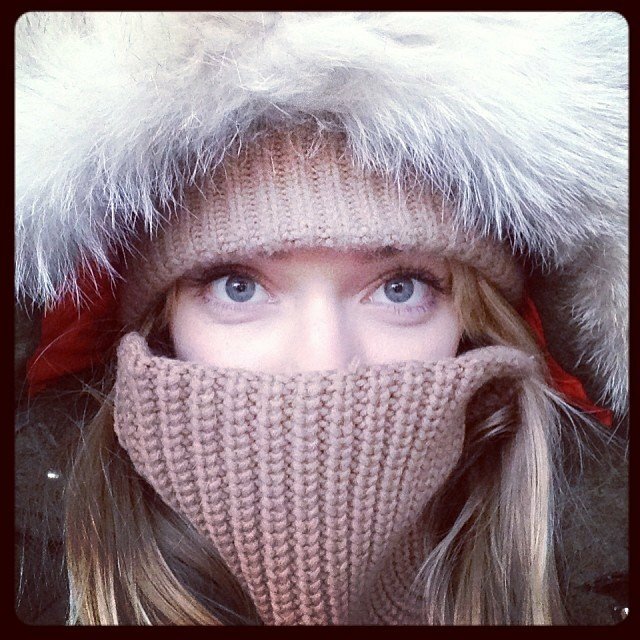 A warm hat, scarf, and gloves – Think Thinsulate or furry Russian hat! A good pair of insulated weather-proof boots and warm winter socks – Nothing else matters if your feet are freezing and your toes are icicles. 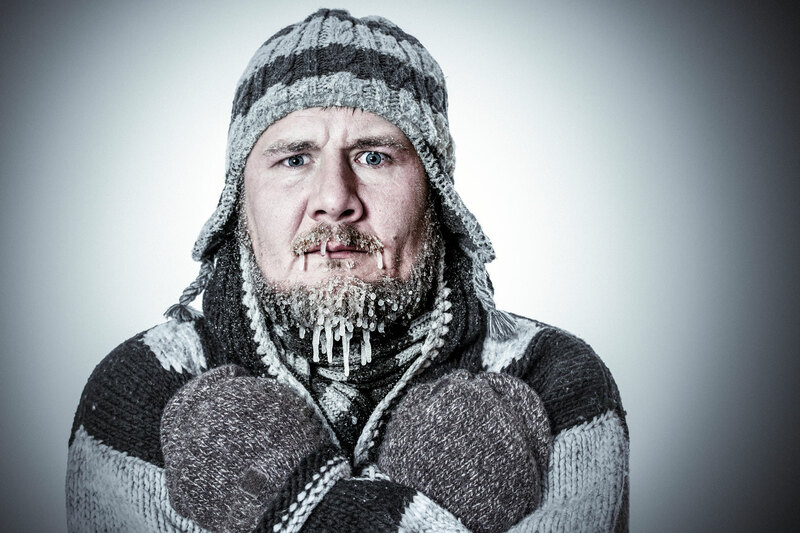 No matter what you’re wearing, nothing beats the cozy comfort of a well heated home or apartment during the winter. 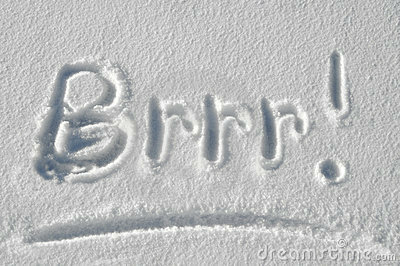 So if you’re a homeowner or landlord be sure to have your heating system checked out before it becomes a problem. If you have a wood stove, stock up on seasoned logs. If you’re into oil heat, many oil delivery companies offer a little discount if you’re on a scheduled delivery plan. And no matter what type of system you have, most HVAC companies offer a yearly check up that is relatively inexpensive to catch issues before they become problems. Whether it’s to and from work, shopping, or going out to eat, living in a cold-weather state means traveling in a cold-weather state. Here are some ways to prepare. Check the tires to be sure the tread is sufficient for snowy travel. Check your antifreeze to be sure that it’s full and fresh. Flush and change it if need be. Fill your car with freeze-proof window washer fluid – available at any auto store. Make sure you have an ice scraper and lock de-icer in your car. Be sure that your phone is fully charged before leaving on a winter road trip. Now I’m sure I could have thought of more tips for Jen, but it was about that time that she walked back through the office door with her lovely spring! jacket on. Shivering, she thanked me for my list and went on her way. All this talk about cold weather has put me in the mood to go home, turn up the heat to 80, get comfy with shorts and a t-shirt, and have a nice piña colada. I think I’ll watch a travel video about the islands. Aloha! Storage Units – What size do I need? Self-Storage – Getting the right size for you! So, your backyard shed is full, the attic is packed, and you can barely walk through the garage, let alone park a car in it – It’s time to rent some self storage space ! “The local storage facility down the road looks nice, but what size do I need?” you ask yourself. Luckily I can help. My name is Jerry, and I’m a manager at The Storage Inn Self Storage in Egg Harbor Township, NJ. Here are some tips to help you get the right size storage space. Don’t worry about storage unit sizes until you’re sure of what items you’re actually going to need to store. Take an inventory of everything that will be going into the storage unit, including the dimensions of any larger items to be stored. Measure the height, width, and depth as you may need to turn some items on end. 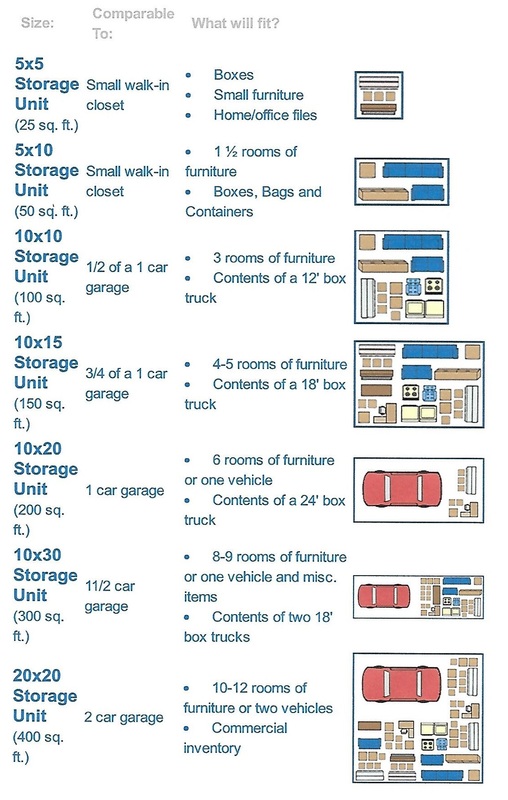 Also note the number of boxes and totes that you need to store, including their dimensions. Using similar size boxes and totes will make this task much easier. Now that you have a pretty good idea of what you will actually be storing, it’s time to head on down to your local self storage facility, talk to the experts, and get the perfect storage space to suit your needs! Okay, time to choose the right storage unit size for all your stuff. There are approximately six standard storage unit sizes in the storage industry. These are sizes that will be found it almost any self-storage facility. Here is a description of those basic sizes. At the Storage Inn of Egg Harbor Township New Jersey we offer over 45 different storage unit sizes, most of which have extra high ceilings, giving our customers 20% more storage space than the industry standard. These sizes include unique configurations such as long narrow spaces making them perfect for storing items like ladders or surfboards; and we also have smaller spaces with high ceilings great for items like couches and mattresses since they can be turned on end to maximize the cubic footage of the unit. We even have outdoor spaces for boat storage, car storage and RV storage! And if you’re looking for climate controlled units, yep, we have those too. Although this may be a daunting task for you, the professionals at your local storage facility deal with these moving and packing issues on a daily basis. We would be happy to answer any questions you have about storing your belongings and we’ll certainly assist you in finding the right sized storage space. And keep in mind that here at The Storage Inn moving and packing supply store, we sell everything for your storage needs including cardboard moving boxes, packing tape, bubble wrap, and mattress covers. And if you have a lot to move check out our affordable truck rental offer to help make your move a breeze! Fall is the best time to move! There sure has been a lot of activity here at The Storage Inn in Egg Harbor Township and Ocean City, New Jersey this past month – lots of folks renting storage space and moving items into our self-storage units. In speaking with our customers, I found out that many of them were in the process of moving from one home to another. This made me wonder why Fall seems to be such a popular time to move, so I did some investigating, and here is what I found. 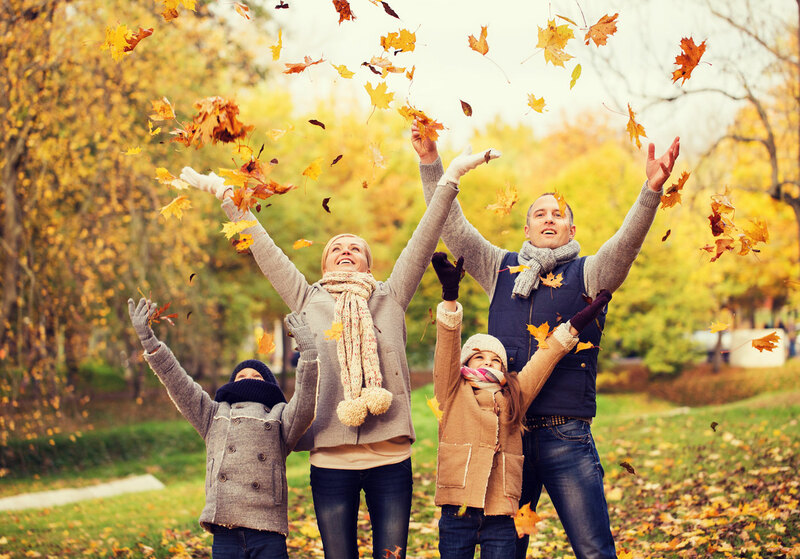 According to experts in the moving and storage industry, Fall just might be the best time of year to move (should you decide to hire movers) – here are 4 reasons why! Fall is arguably the nicest time of year to move. Think about it, who wants to move in 90 degree summer heat, or in winter’s toe numbing cold? Fall offers a comfortable temperature range which at worst could mean a sweatshirt or jacket, and if you’re lucky, you may even be able to wear shorts and a t-shirt! Industry insiders commonly refer to the period from May to August as “moving season”. Moving companies typically charge their highest prices during this time of year, but by waiting until the fall to move, you can get lower rates, along with avoiding the heat of summer. Many self-storage facilities also offer incentives in the fall to folks looking for self storage space. Here at The Storage Inn in South Jersey, we offer things like $1 storage unit rentals for the first month, free moving truck rental for the day, and free moving boxes, tape, and bubble wrap to help make your move easier. Because “moving season” has ended, many companies will lay off their temporary help. This is good news for you, as they will retain their core crew. This means that you now have the most seasoned and experienced home movers handling your precious cargo. Hot chocolate + travel cups = happy movers. After being blown away by your kindness, they may be compelled to give your furniture extra TLC. Wet leaves = potential safety hazard. Keep a broom and rake on-hand, and continue clearing the path for movers. Dress in layers! With the season being temperamental, you’ll want to stay comfortable. 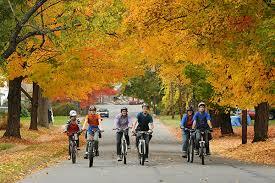 Fall is a great time to meet the people in your new community. School is opening for the kids, and Halloween and other Fall events can get you acquainted with the new neighbors. Most towns and schools hold a number of community events in the fall that you might want to attend. 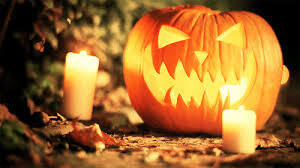 And ! If you’re moving around the Egg Harbor Township or Ocean City, NJ area definitely stop by your local storage facility, The Storage Inn. We know the area like the back of our hands, and we’re always happy to help you in any way that we can. Happy moving!